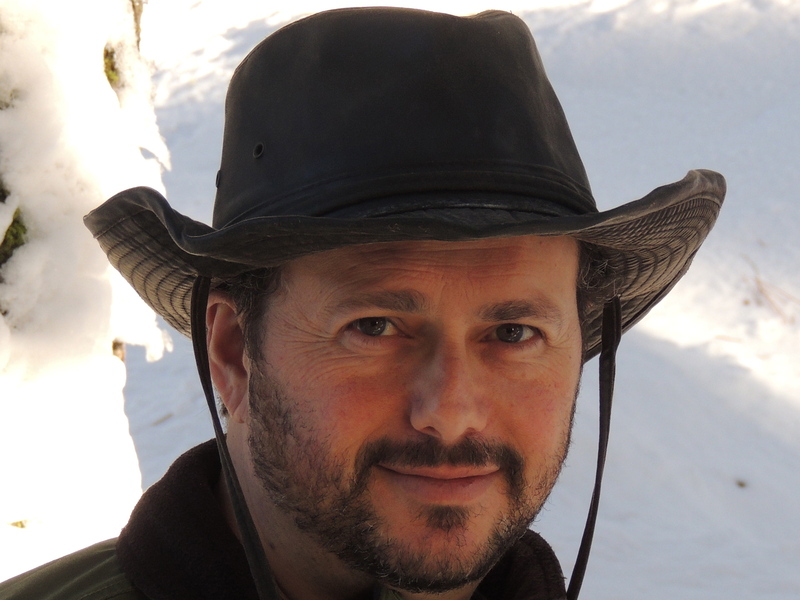 Alon Shalev writes social justice-themed novels and YA epic fantasy. He swears there is a connection. 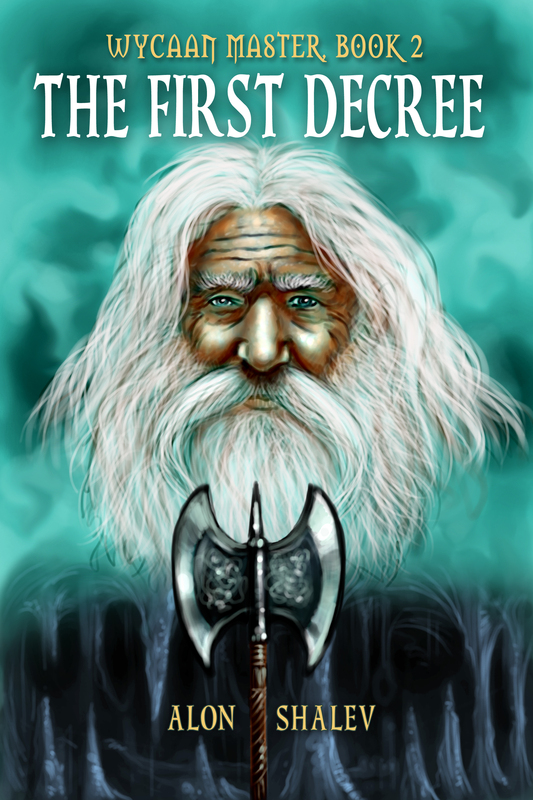 His latest books include: Unwanted Heroes, At The Walls Of Galbrieth, and The First Decree. Alon tweets as@alonshalevsf and @elfwriter. Welcome to Writerly Goodness, Alon! Thank you for taking the time to answer a few questions for my readers. I must say that I’ve been following you with great interest since we “met” through Author Salon and I became aware of your progress through last year’s Amazon Breakthrough Novel Award (ABNA). WG: I know you’ve probably written a lot about this, but I must ask about your experience with the ABNA. Some of my friends have expressed interest in the competition (or entered) and I’m sure they would love to know about the process of getting to the quarterfinals and how it contributed to your success with At the Walls of Galbrieth. AS: I think ABNA is an amazing opportunity even if you do not win. It pushes you to finish and polish a manuscript, and prepare what is essentially your media kit. I have reached the quarterfinals with three different books and enjoyed the tension around it (I had my acceptance speech all worked out!). When you reach the quarterfinals, experienced people in the industry critique your novel. It can be tough, but you do learn a lot. Finally, there are many agents trolling the competition, so it is an effective way to avoid the depressing slush piles. WG: Now The First Decree, the second novel in your Wycaan Master series has been published. How was writing the second novel in your series different from the first and what did it teach you about yourself as a writer? AS: The most significant difference is allowing for a story arc that gives a satisfying climax, but also extends tendrils into the next book. In fact, there is a similarity at the beginning, because you want to bring the reader who has not read your first book (or read it a while ago) up to speed without imparting a huge information dump or giving away too much from the first book. I found this very challenging and had a number of friends critique this aspect in order to find the right balance. What I love most about writing a series is that I can really develop my characters. They have time to grow up and mature. Outside of writing, I am a devoted father (which is what got me writing epic fantasy in the first place) and work with college students. So I realize that I am imbuing this love for seeing young people grow and develop into my writing and, I think, only a series can allow for this. WG: How did Seanchai’s story begin for you and how did it evolve? AS: Every summer, my family goes camping for two weeks in Northern California. After we had set up camp, my sons (then 11 and 7) went off to explore the campground and I whipped out my laptop. They soon returned and objected to me writing during family time and this was the compromise we reached. During the two subsequent years, I wrote The First Decree and Ashbar, and read a couple of chapters each night either around the fire or snuggled in my tent. I realized that many aspects of Seanchai are a mix of both sons, and perhaps how I would like them to turn out. My fears that I will not be there for them one day plays out as Seanchai is denied a parent or mentor so many times. But there is also the desire to cultivate deep friendships, which I believe is central to the values that both boys have, as well as dealing with teenage romance and pressure. All my characters are now part of my family. When I killed one off, I cried. When I edited that chapter several times, I cried…several times! I often imagine conversations with them, counselling and encouraging them, as I strive to do for my sons. WG: I’m a big process geek. Would you share something about your writing process? AS: I am not a good person to ask. I plunge in and trust the creative juices. I usually finish a 100,000-word manuscript (a rough draft full of mistakes) in three months, writing an hour a day and more on weekends. I keep a contents page for myself to track chapters and a characters page where I add physical traits or history. I also have ongoing plot notes that are threads between chapters and stories. This is written at the bottom of the chapter I am writing and I cut and paste on from word doc to word doc and erase an idea after it is included. In terms of workspace, my desk is in the kitchen and I can write on the train, bus, anywhere. Once the idea is there, everything flows. It is a truly exhilarating experience. My family would probably tell you that I am a bit crazy when in the creative process. If I do not have the time to write I can become somewhat cranky and have a propensity to talk about little else. I am constantly worrying about my characters and the danger or emotional turmoil that I put them in. WG: I’ve been told by industry experts that traditional fantasy is a hard sell in today’s market. Did you find this to be true and what are your thoughts on the genre’s continuing potential? AS: My marketing guru is John Locke (the author) and I am fastidiously following his business model. He says it is better to have a smaller, clearly defined target audience, than a larger, less identifiable one. I have more problems placing my social justice-themed novels than fantasy. Fantasy readers are passionate, fun, social and happy to share opinions. They are on line and engaging their peers all the time. In addition, every movie – Lord of the Rings, Eragon, Hobbit, Harry Potter, Oz, Jack and the Giant Slayer – brings waves of new and eager readers. Parents, who want to encourage their children to read, will buy them the books that reflect these movies. As long as these movies are being produced, as long as there are great authors writing quality stories, I think the future is bright and I am thrilled to be a part of it. WG: What’s coming up for you and The First Decree? AS: Following John Locke’s model, I am very focused on writing and publishing. Ashbar – the third book in the series is scheduled to come out in the fall. I will finish writing Book 4 during the summer and then spend the rest of the year editing it before turning it over to my editors. The new marketing reality is that we are in an age of instant gratification. You finish Book 1 and if you enjoy it you want the next and you want it now! How smart were Amazon with their 1-Click? There is so much social media that to keep your readers waiting a year for a book is dangerous if your name doesn’t end in Brooks, Salvatore etc. Meanwhile, I continue to build my online platform through my weekly blog (www.elfwriter.com) and twitter (@elfwriter – 22,000+ followers). I spend a fair amount of time here and on Facebook (and just getting into Goodreads), and I truly love the interaction with fellow writers, readers and fantasy fans. Thanks for sharing your time and expertise, Alon. All the best for your future writing endeavours! Thank you, Mel, for this opportunity.